A highly publicized case involving a Palm Beach County millionaire and a DUI manslaughter charge will go to the Florida Supreme Court, challenging state rules on testing blood for alcohol levels. According to an August 28, 2017 report in the Orlando Sentinel, John Goodman is pursuing an appeal on his conviction in a 2010 drunk driving death because of accuracy issues in the blood-alcohol tests used as proof in DUI cases. Justices will hear arguments that Florida doesn’t have adequate measures in place to prevent clots in blood drawn for purposes of determining blood alcohol content; there are also allegations that the state’s testing procedures don’t properly screen samples. A final determination in the case remains to be seen, but the story demonstrates the advantages of having an experienced Florida DUI lawyer to represent your interests in a criminal case. 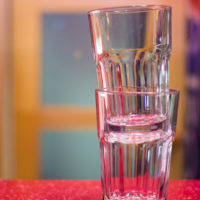 Roadside breath test and field sobriety tests may be useful in giving officers probable cause to arrest you, but accuracy is questionable because of the lack of control over test conditions. Therefore, law enforcement uses blood testing for more certainty. Alcohol is absorbed into the bloodstream within minutes of having a drink, after being processed by the liver. A blood test is used to measure the amount of ethanol present, based upon a percentage. If your blood alcohol concentration is .08 percent or higher, you can be charged with DUI. The theory behind a blood test is that the fluid being evaluated is in the same condition as the blood running through the person’s veins at the time it’s drawn. However, this isn’t always the case. Florida law requires the blood sample to be maintained in pristine conditions from collection to testing to reporting, but there are a number of factors that affect its integrity during this time. Collection: The means of drawing blood can affect the condition of the blood sample, resulting in a false-positive as high as 50 percent. Collection is handled by a licensed individual, but a phlebotomist may not have any other medical training. Storage: Any delays in placing a specimen into storage or factors that amount to improper storage can lead to inaccurate results. For instance, the blood vial itself includes the conditions to create fermentation, which means yeast, bacteria, and sugar impact the integrity of the sample. A Supreme Court decision could take months, but the case illustrates how it’s possible to attack any aspect of a Florida criminal case and possibly obtain a favorable outcome. Success in beating criminal charges or reducing the penalties means hiring a skilled defense attorney who’s dedicated to fighting on your behalf. Lawyer Kevin J. Kulik has represented many clients in Fort Lauderdale and throughout Broward County, helping them defend against various types of crimes. If you have questions or would like to discuss your case at a free, confidential consultation, please contact our office today.